Want to find a way to make your knee osteoarthritis (OA) feel better that doesn't involve popping a pill? A thinner waistline could be the answer. If you're overweight, you can cut your pain when you shed a few pounds. A leaner "you" can ease pressure on your joints, reduce inflammation, and help you get around more easily. Even if you don't have knee OA now, you may cut your risk of getting it if you keep your weight under control. When you walk, your joints get a pounding. For every step, your knee takes on a force equal to 3-6 times your weight. What does that add up to? We'll do the math for you. Even as little as 10 extra pounds puts an additional burden on your knee of 30-60 pounds. If you only took one step a day, it might not be a big deal. But of course, you probably take thousands, which means a lot of stress on your knees. The more you weigh, the greater the stress. The long-term result -- stiff, swollen, and achy joints. When you carry extra pounds you also speed up the loss of cartilage in your knees. That's the stuff that creates a cushion between your bones. If you don't have enough, your bones start to rub against each other. And that leads to irritation, pain, and swelling. When you drop a few pounds, you won't reverse your OA or create new cartilage. But it can ease your symptoms, improve how well you get around, and prevent more damage to your joints. How Much Do I Need to Lose? Even small changes in your weight can make a difference. If you shed just 1 pound, you'll take 4 pounds of pressure off of your knees. Drop 10 pounds and you'll take 40 pounds of pressure off. The more pounds you lose, the better. 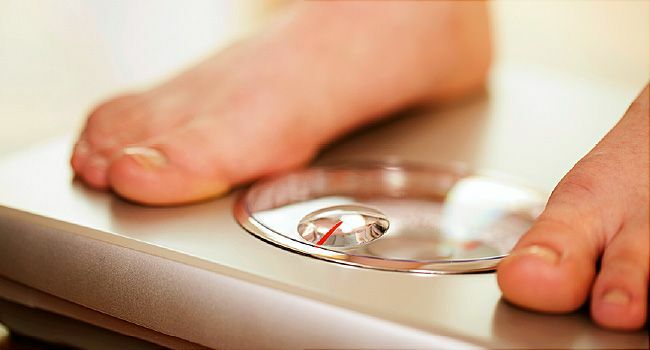 If you're overweight, experts suggest you aim for 10% of how much you weigh now. Research backs that up. In one study, people who lost at least 10% of their weight had more relief in pain and inflammation than people who lost less than that. Try to set a 10% goal for yourself. For instance, if you weigh 200 pounds now, try to lose 20 pounds. Aim for a loss of 1-2 pounds a week. You can try diet, exercise, or a combination of both. If you're very overweight or have other health problems, talk to your doctor about other options like low-calorie diets, gastric surgery, or weight loss medications. Christensen, R. Osteoarthritis Cartilage, January 2005. Messier, S. Arthritis & Rheumatitis, July 2005. Peeler, J. Clinical Journal of Sports Medicine, 2015. Arthritis Foundation: "Benefits of Weight Loss." Cleveland Clinic: "If You Lose Weight, You Can Lose Joint Pain Too." Johns Hopkins Arthritis Center: "Role of Body Weight in Osteoarthritis." University of Maryland Medical Center: "Osteoarthritis."